NETANYA, Israel --- RADA Electronic Industries Ltd. announced that following the recent announcement by General Dynamics (See below—Ed) of a positive Army Requirements’ Oversight Council (AROC) decision, Phase II of the Iron Fist Light (IFL) Active Protection System (APS) for the Bradley Fighting Vehicle is moving forward. The project is a joint venture between General Dynamics’ subsidiary, General Dynamics Ordnance and Tactical Systems, together with Israel Military Industries (IMI), which was recently acquired by Elbit Systems. RADA is the provider of the radars to the Elbit/IMI IFL system. 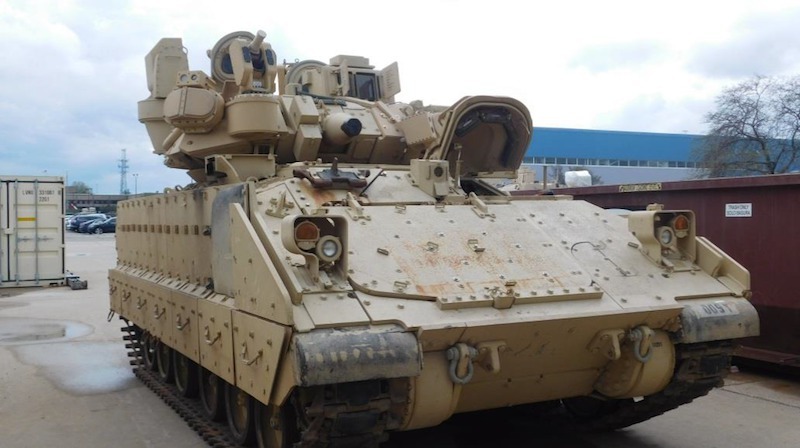 The IFL system is a lightweight APS, providing enhanced survivability for armored and tactical platforms. RADA’s software defined radars identify and precisely track incoming threats, from any direction, in real time. The system then intercepts the threat by launching a small warhead and activating it at a safe distance from the protected platform at a precisely calculated moment, defeating the threat through a shock-wave effect. 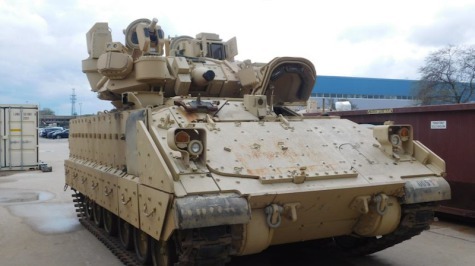 In phase II of the IFL for Bradley project, RADA expects to receive near-term orders for the supply of radars for qualification testing, and the current potential is to equip one US army brigade of Bradley armored vehicles. This phase is expected to continue into the years 2020 and 2021. RADA Electronic Industries Ltd. is an Israel-based defense electronics contractor. The Company specializes in the development, production, and sales of Tactical Land Radars for Force and Border Protection, and Avionics Systems (including Inertial Navigation Systems) for fighter aircraft and UAVs. ST. PETERSBURG, Fla. --- General Dynamics Ordnance and Tactical Systems (GD-OTS) in cooperation with Elbit Systems and IMI's team is moving forward with Phase II of their Iron Fist Light (IFL) Active Protection System (APS) following the announcement of a positive Army Requirements Oversight Council (AROC) decision. The low size and weight, ease of integration, and versatile high-performance positions IFL as an ideal candidate for the Bradley Fighting Vehicle. Iron Fist Light uses independent optical sensors, tracking radar, launchers and countermeasure munitions to defeat threats at a safe distance from the defended combat vehicles. The system provides 360-degree protection coverage for close-range scenarios in both open terrain and urban environments. Fielding active protection capabilities has been identified as an urgent need by the US Army. "We are excited to move into Phase II and bring the vast capabilities of our Active Protection System to the Bradley Fighting Vehicle. We look forward to continuing to partner with the Army on advancing this important technology as well as enhancing integration capabilities across multiple Army platforms," said Steve Elgin, vice president and general manager of armament and platform systems for General Dynamics Ordnance and Tactical Systems. "We are proud to support the US Army and cooperate with GD-OTS in delivering the Iron Fist Light - a sophisticated protection system that will enhance the capabilities of a variety of Army platforms while defeating a wide range of threats," said Yehuda (Udi) Vered, executive vice president and general manager of Elbit Systems Land Division.